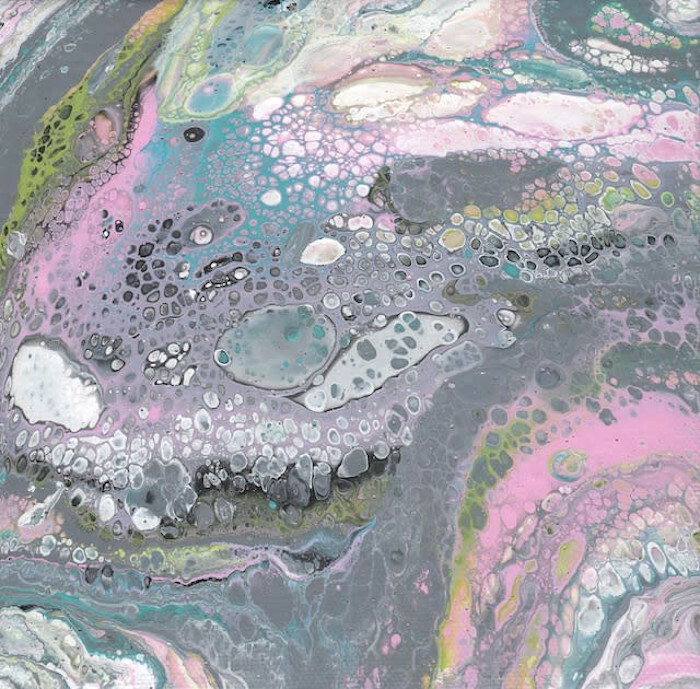 This is part of a series of fluid acrylic paintings in cool neutral colors with some hot pink. The fluid paint has dripped over all the edges for a beautiful effect. They are wired and ready to hang without a frame. This would look great hung together with the other paintings in this series!